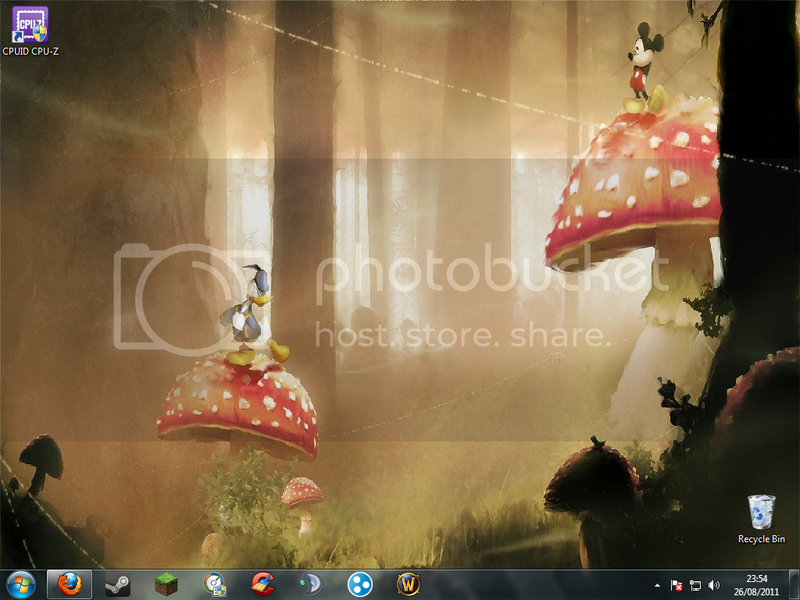 Two people using the taskbar with mere icons rather then text, how can you live with that?! read = more enegery > need to eat more = having to get up. 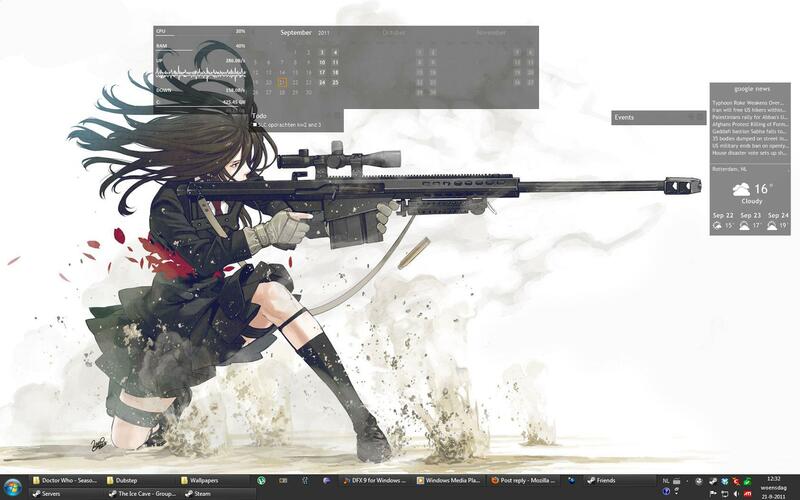 At least the girls in here have a proper desktop not thrashed with a gazillion icons. When it comes to icons I have the same attitude towards them as most gamers have to guns; stockpile them because you never know when you might need it. I use a lot of wallpapers alternating every 5 minutes so I don't really have a wallpaper to show off. It's mostly for how I got this set up right now.